An outpost is a square where you can place your piece safely which can not be attacked by opponent's pawn and your opponent can not capture it without giving up some material advantage. Normally piece is protected by pawn but sometimes it can be protected by other pieces also. 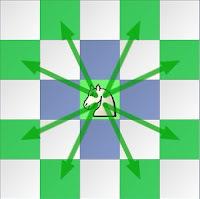 Any of your piece (Rook, Bishop and Queen) works well on an outpost but knight (Octopus) works better because its impact on nearer squares being short range piece. 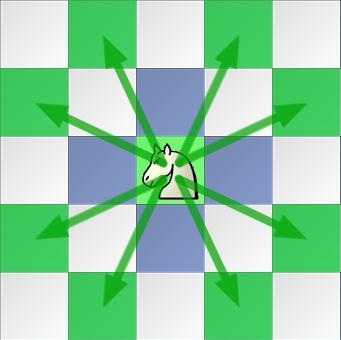 Sometimes it is not favorable for your opponent to exchange the piece which is on outpost because it may create strong passed pawn or if protected by other piece than that piece will get outpost. Look for Isolated pawn, when your opponent has an isolated pawn then the front square of that pawn can become outpost for you. When your opponent has advanced his/her pawn then it creates hole. Space behind the pawn can be outpost for your piece, For example in the diagram white has advanced his pawn to d4,e5 and f4 which creates hole in e4 that is protected by d5 pawn would be a great outpost for Black's knight or bishop. Even you can place knight on f5 but first need to play h5. Remember : NOBODY will force your opponent to create hole in his position, you have to create it. 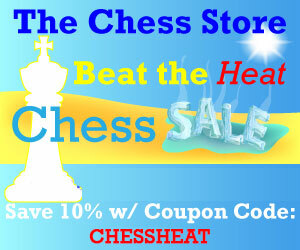 In this game Kasparov sacrificed a pawn in order to get his knight on d3 and went on win. This is one of the Garry's Masterpiece and in the book 'The Mammoth Book of the worlds's Greatest chess Games' credit given to the knight on d3 which they called Octopus knight. increases in accordance with the strength of the opponent. What is noteworthy is the fact that this victory was achieved over such a super-class player as Karpov"